Change was the theme of the 2008 presidential election. 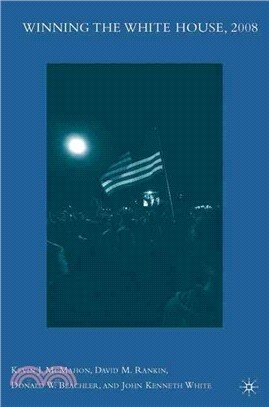 In Winning the White House, 2008, the authors explore the historical and emerging voting patterns shaping this transformative election. After examining the selection of the Republican and Democratic nominees, they address the most compelling economic, social, and foreign policy concerns facing the electorate during the general election campaign. Surveying the electoral map, they then analyze how control of the White House and Congress hinged on the developing trends across the nation’s four main regions. Within regions, special attention is paid to the battleground states, voters, and issues that were central to Barack Obama’s victory over John McCain. Kevin J. McMahon, John R. Reitemeyer Associate Professor and Chair of Political Science at Trinity College in Hartford, Connecticut, is the author of Reconsidering Roosevelt on Race: How the Presidency Paved the Road to Brown (Chicago, 2004), which won the American Political Science Association’s Richard E. Neustadt Award for the best book published on the American presidency. He is also the co-author and co-editor of two other books on American Politics and the author of several journal articles and book chapters. David Rankin, Associate Professor of Political Science at the State University of New York, Fredonia, teaches courses and conducts research on American politics, media and politics, elections, public opinion and political participation. He has coauthored, co-edited, and contributed to multiple books and journals on the topic of elections and the presidency, and is currently completing a book on the political attitudes and action of the Millennial generation. His analysis and commentary has been regularly featured in news media coverage of the presidential election. Donald W. Beachler, Associate Professor of Politics at Ithaca College, teaches courses on American electoral politics, public policy, and Holocaust and genocide studies. He has published several articles on U.S. elections, southern politics, labor politics, and congressional redistricting. Recently, he has also published journal articles on genocide in Bangladesh and Cambodia. John Kenneth White, Professor of Politics at the Catholic University of America, is the author of several books on American politics and governance. His latest, Barack Obama's America: How New Conceptions of Race, Family, and Religion Ended the Reagan Era, will be published by the University of Michigan Press in 2009.